With Christmas fast approaching we have the ideal choice for that special gift here at Stokesley. Why not take out our Special Golf Course Membership Offer, take advantage of our Early Bird rate offer which lasts until the end of the year. Adult Membership Offer is only £199. The Junior (Under 16) Membership is an incredible price of £25. Call (01642) 714856 for anymore details. We also have the ever popular Driving Range Membership available as a excellent choice of gift which includes a whole host of benefits. The Adult Membership price is £30 with OAP/Junior priced at £25.00 and just takes minutes to sign up. 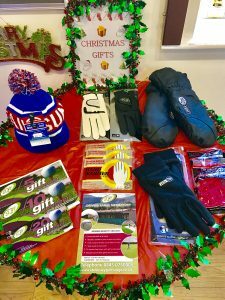 We also have a range of other gift ideas with a range of Winter essentials Hats, Gloves, Hand Warmers etc. Gift Vouchers are also available and Can be used on any of these items or our range of activities.